Now, the most common issues with Spotlight are that it displays no results, or only partial results. 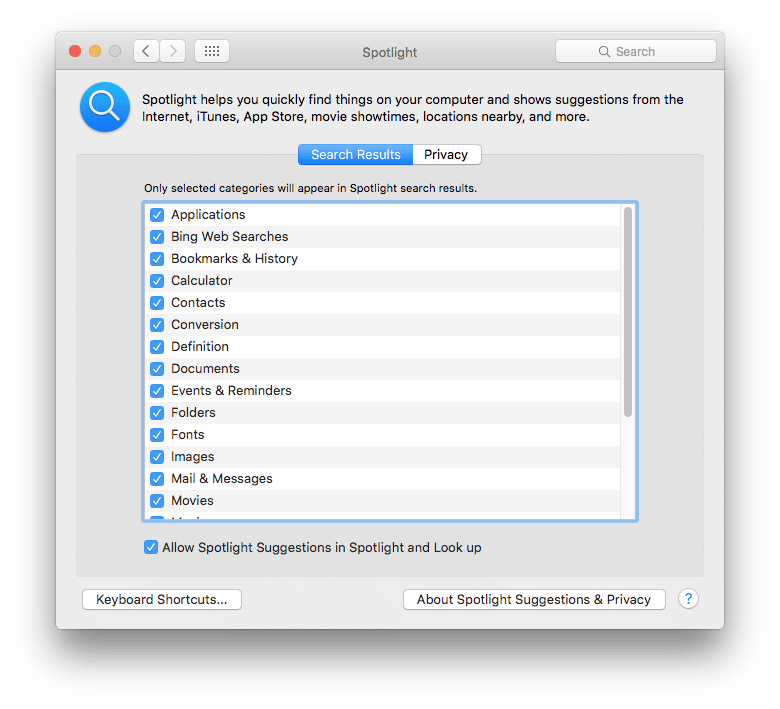 The issue which i experienced this week is that Spotlight only shows some results such as Dictionary and Web search results, but not Applications, files and folders. As you can see, Applications is ticked and therefore should appear in the results. Obviously you would tick the box for what you want to search for if it wasn't already! Step 2: Click the Plus '+' button in the lower left hand corner. 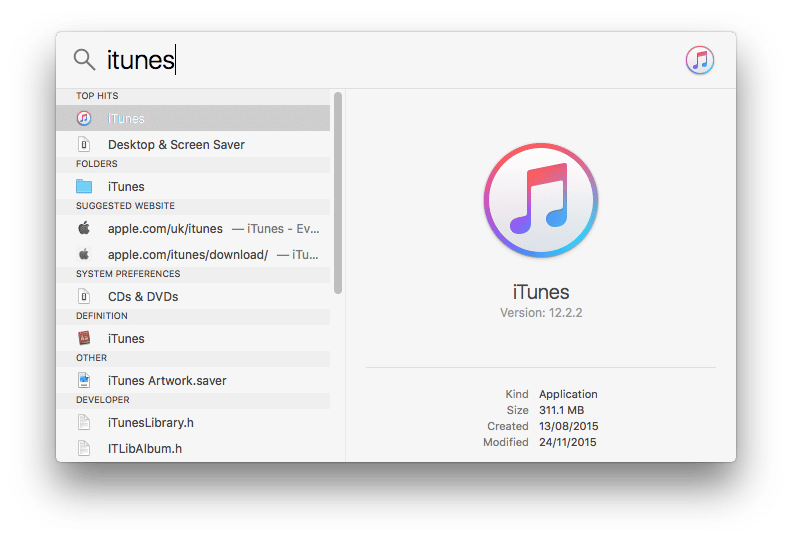 Step 3: Press 'Shift' + 'Command' + 'C' to reveal your hard drives or navigate to your system hard disk manually if this shortcut does not work. Step 5: Click the 'Choose' button to add to the Privacy list. Step 7: Quit System Preferences and restart your Mac. Step 8: Go back to Spotlight System Preferences and select the 'Privacy' tab, then remove your hard disk from the list by selecting it and pressing the Minus '-' button in the lower left hand corner. 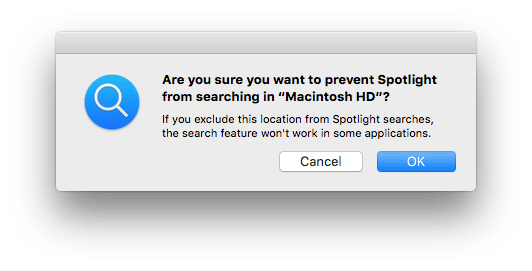 This will force your Mac to re-index your hard drive which usually resolves Spotlight issues. This often resolves Spotlight issues but not for my student in my class this week! So, i had to bring out the big guns and use the command line! 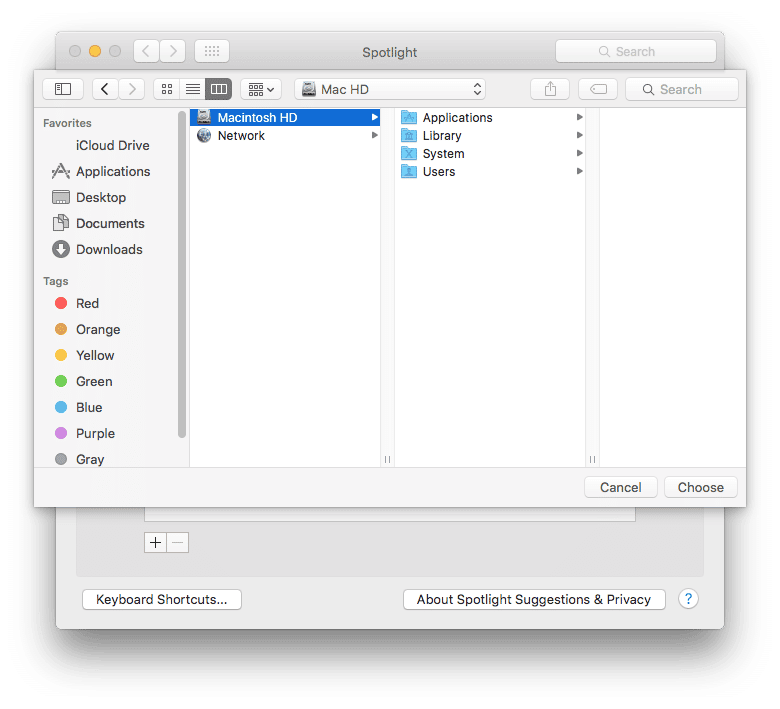 The Spotlight index is stored on your hard disk as an invisible folder so that you cannot visibly modify or access it. 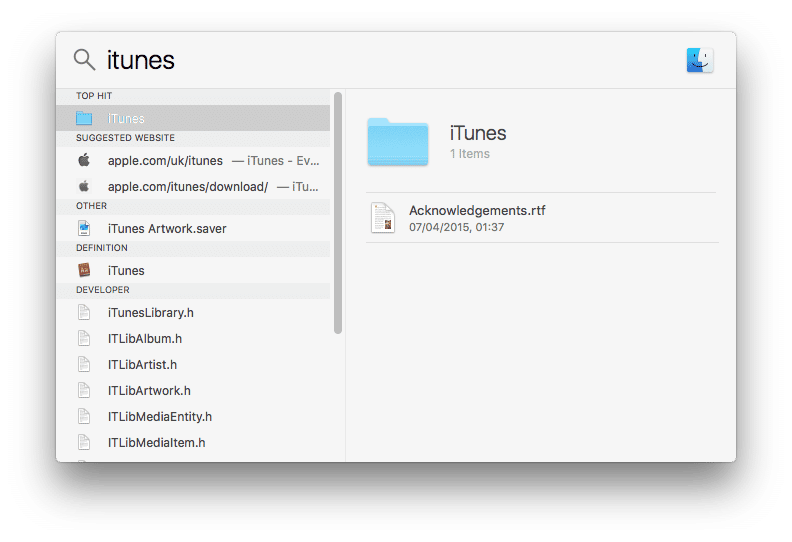 Re-indexing your hard disk as mentioned above does not delete the entire Spotlight index folder and settings, just modifies it to re-index your system drive. 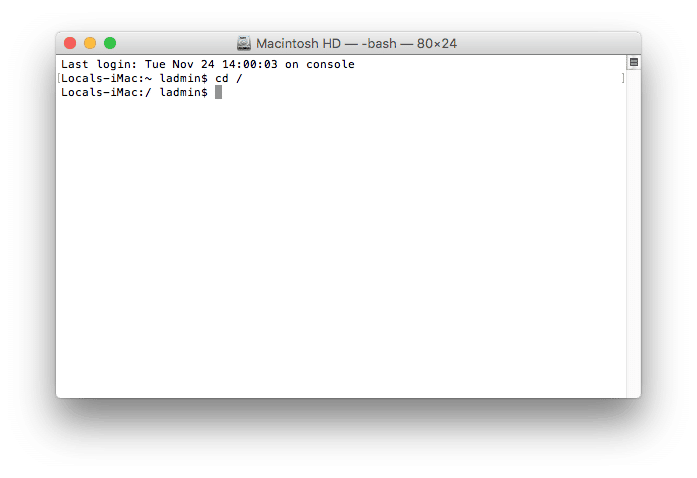 Step 1: Login as an Admin user on your Mac. Step 2: Navigate to /Applications/Utilities on your computer and open Terminal. You have now 'changed directory' to the root level of your system drive which is where the invisible Spotlight database is located. 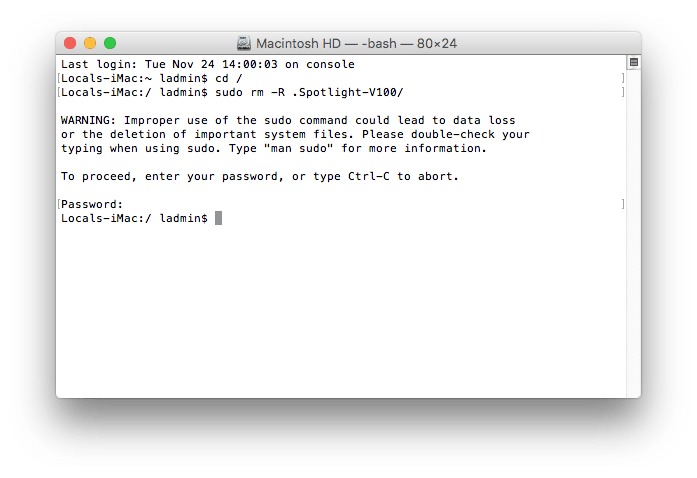 Step 8: Quit Terminal and restart your Mac. 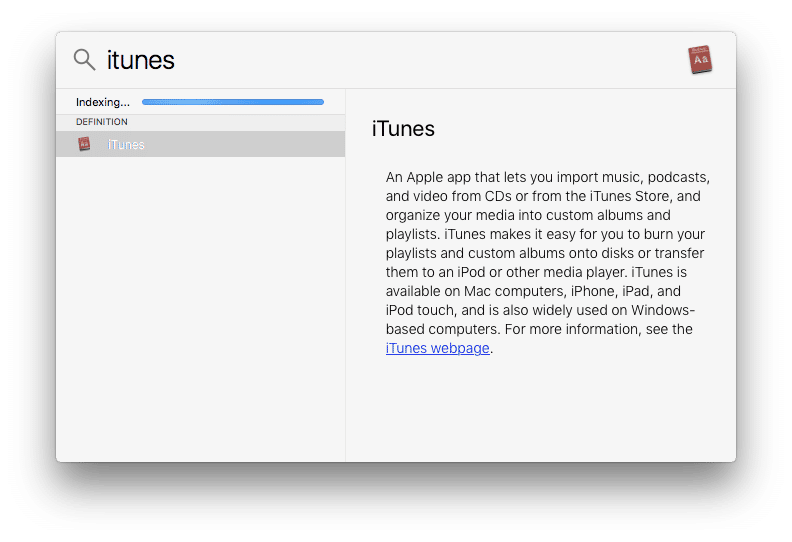 I hope you found this tip useful, it certainly seems to be an issue that crops up every now and again and does not seem to be tied to a specific version of OS X.